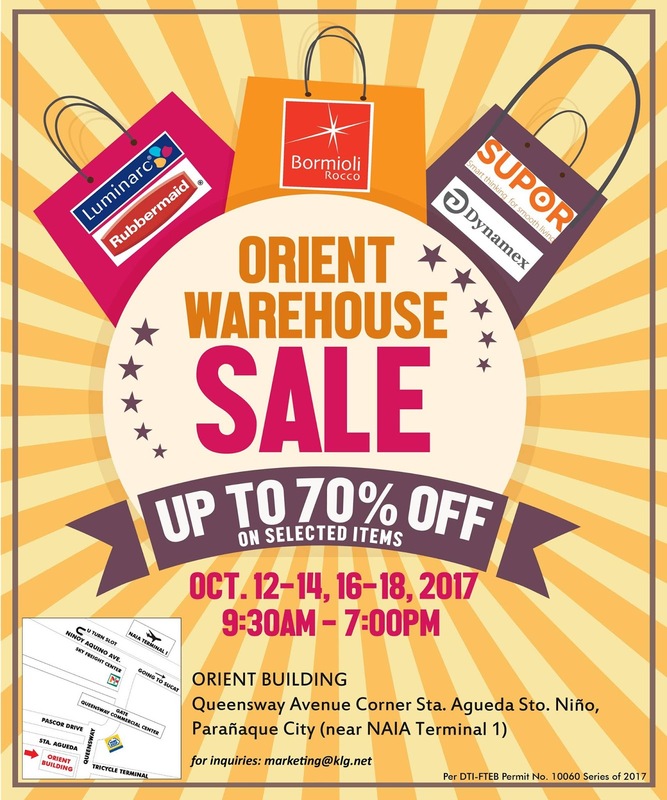 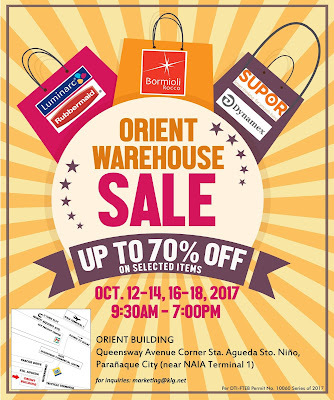 Check out the Orient Warehouse SALE happening on October 12-14, 2017 and on October 16-18, 2017 at The Orient Building, Pascor Drive, Sto. 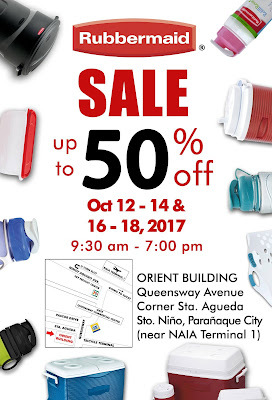 Nino Paranaque City. Enjoy up to 70% off on your favorite kitchenware, tableware, and houseware brands like Rubbermaid, Supor, Bormioli Roco, Luminarc, and more! Great selections on tableware, kitchenware and home products await. 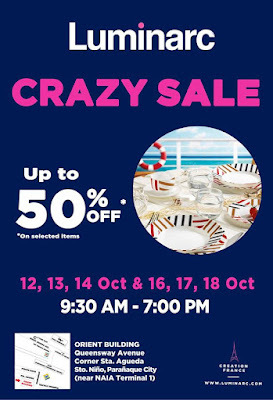 Check out my Great Finds HERE!